Our full-service repair shop is ready to handle your automotive problems. Nampa Auto Repair offers many services including wheel alignments and back up all of our work with solid, road-ready warranties. We work on all types of vehicles, including diesel trucks and farm equipment. Nampa Auto Repair performs light, medium and heavy duty repair work to keep your car in top gear! 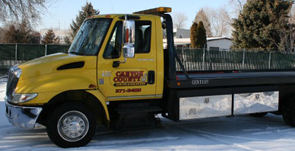 We provide towing and complete diagnostics to get you vehicle or truck back on the road fast. We have eight International tow trucks to meet all of your towing needs. 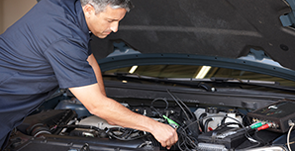 Our Mechanics specialize in Diesel Engines, European and Asian as well as domestic repairs! Honesty and patriotism is who we are! Nampa Auto Repair is an automotive repair shop located in Nampa, Idaho. Since we understand that trust is a huge issue in this industry, we go out of our way to keep you informed throughout the process of your vehicle's repair. This gives you peace of mind and helps you better maintain your vehicle. We are a family-owned business and proud of our strong current and past military service to our country. We are dedicated to serving the Treasure Valley. Contact us today for our trusted and knowledgeable automotive repair services. Thank you for your interest! Please fill out the form, along with your email and a detailed message, to request more information about any of our services. A confirmation will appear after you click "Submit."